The infection is often asymptomatic, but chronic infection can lead to scarring of the liver and ultimately to cirrhosis, which is generally apparent after many years. In some cases, those with cirrhosis will go on to develop liver failure, liver cancer, or life-threatening esophageal and gastric varices. The virus persists in the liver in about 85% of those infected. This chronic infection can be treated with medication: the standard therapy is a combination of peginterferon and ribavirin, with either boceprevir or telaprevir added in some cases. Overall, 50–80% of people treated are cured. 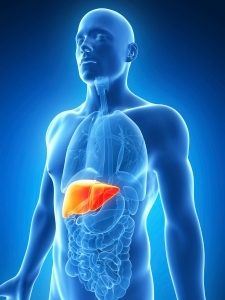 Those who develop cirrhosis or liver cancer may require a liver transplant. Hepatitis C is the leading reason for liver transplantation, though the virus usually recurs after transplantation. No vaccine against hepatitis C is available. About 343,000 deaths due to liver cancer from hepatitis C occur in 2013 up from 198,000 in 1990. An additional 358,000 in 2013 occurred due to cirrhosis.